Doruk Air arranges charter luxury air travel on light, mid and heavy size private jets from Istanbul, Ankara and Antalya to any location on the planet. The exact type you want from a short, medium or wide range aircraft to a spacious, long range aircraft, is available from the fleet. No matter where you are or where you want to be, simply decide when you want to fly and Call us. All the services including your check-in process at the Airport Passenger Terminals and transfering you and your luggages on board are handled by our qualified staff in the shortest possible time. 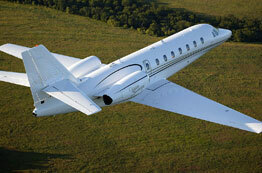 You experience the VIP privilege and feel the both safety and comfort during your flight on our aircraft. During your pleasant flight you enjoy all the services of our aircraft's technical advantages and taste the delicious food and refreshment on our food and drink menu. At the Airport of your destination as well you find our qualified staff for you and your luggages off the board and check-out process. We have a Flight Quality Standarts Department that provides quality control for aircraft operations. All Aircraft are maintained in accordance with JAR/FAR/ 145. Our Safety Sytem continualy monitor our standarts to ensure safe and efficient operations. Highly experienced pilots are the most important factor in our organization. Our Captain Pilots have an average over 7000 hours flying experience. Pricing : Charter Quotes generally include all the costs associated with your flight like hourly flight time, flight crew and on-board amenities, handling-landing fees, international airspace charges. Our flight centers are located in Istanbul, Antalya, Ankara.